The primary mission of Classical 89.5, KMFA-FM is to provide an all-classical broadcast service for Austin and Central Texas. 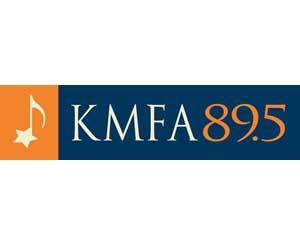 From public service announcements, to interviews to live performance broadcasts KMFA 89.5 also connects listeners to our regional cultural community by highlighting locally-based classical arts groups and artists in ways both entertaining and educational. Established in 1967 as a non-profit 501(c)(3) corporation, nearly 90% of the station’s funding is provided by individuals and businesses throughout Austin and Central Texas. Receiving no university or state support, KMFA partners with its listeners and supporters each and every day to continue providing for this free, all-classical service.